You can bag a prize buck without leaving your comfy chair with the Play TV Buckmasters Hunting Interactive Hunting Game. But the realistic rifle controller with working scope and the danger of bear attacks will keep you on the edge of your seat. 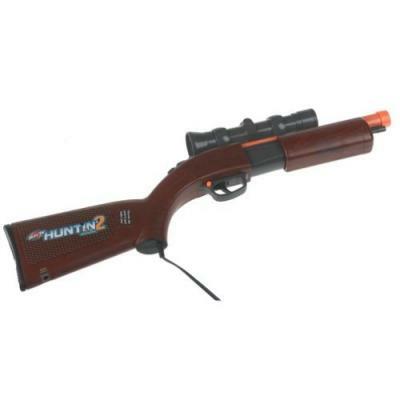 The versatile, hunter- endorsed game lets you choose your skill level, season, rifle and terrain. You can attract deer with calls and rattles, and get tips and advice from Jackie "Buckmaster" Bushman as you play. 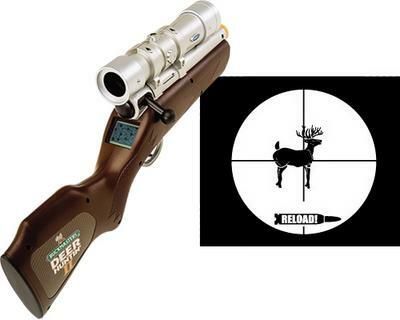 Just plug the rifle into your TV or VCR, choose between target range, hunting expedition, hunting guide and trophy room, and you're ready to hunt.